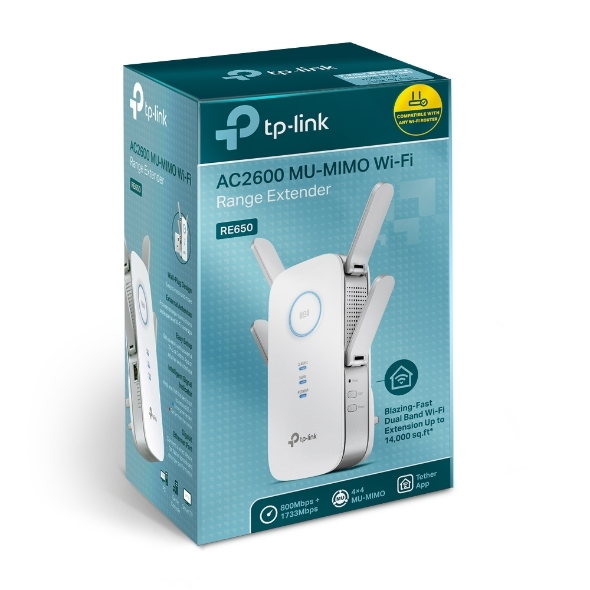 Superior Extended Range – Four fixed external antennas extend Wi-Fi coverage by up to 14,000 sq. 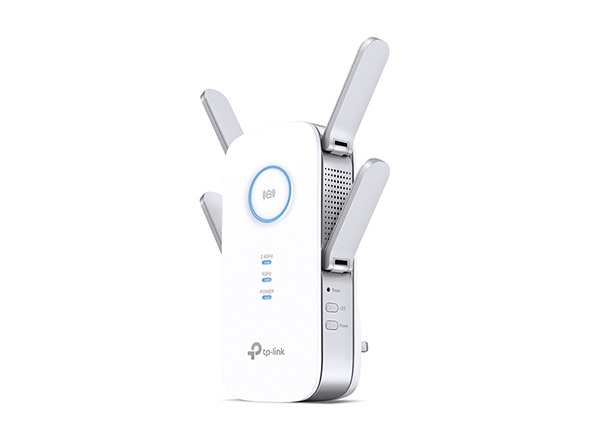 ft.
With four external and dual band antennas, the RE650 establishes a stable wireless connection to any Wi-Fi router and boost the network's coverage by up to 14,000 square feet*. The 880MHz dual-core processor provides maximum Wi-Fi performance, keeping your smartphones and tablets connected as you move throughout your home. Beamforming technology detects the location of devices and concentrates Wi-Fi towards them for stronger connections. Using 4-Stream technology to boost its Wi-Fi capability, the RE650 reaches industry-leading maximum speeds of up to 800Mbps on 2.4GHz, 1733Mbps on 5GHz. This provides the speed and elite performance necessary to support your most demanding online applications, including simultaneous 4K streaming and lag-free gaming. MU-MIMO technology allows the RE650 to serve up to four devices at once, reducing wait time and greatly increasing Wi-Fi throughput for every device. With MU-MIMO, the RE650 runs up to 4x faster than traditional AC range extender. 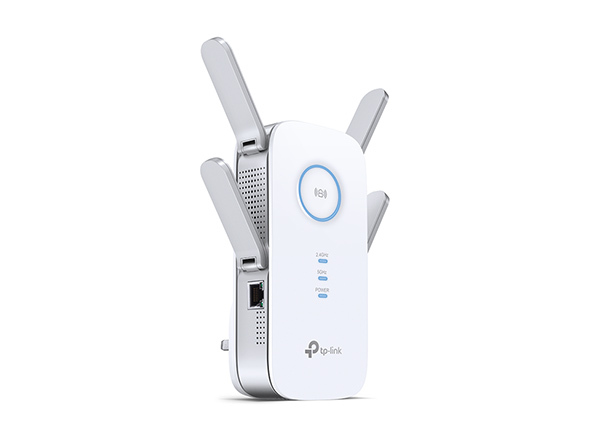 The RE650’s Gigabit Ethernet port lets you connect a wired device such as a game console or smart TV to create a fast, reliable wired connection. best location to install the RE650. RE650 is more than a wireless range extender. 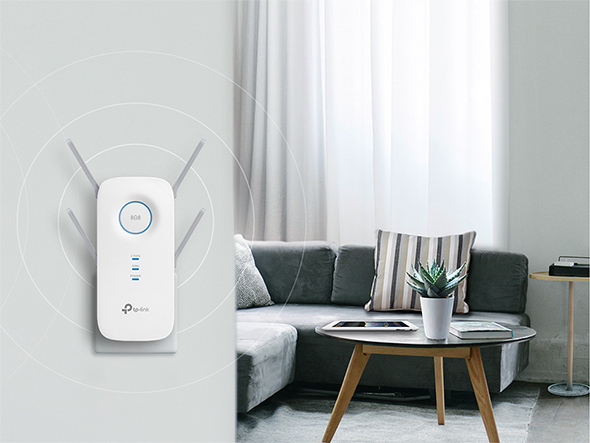 Simply plug an Ethernet cable into its Ethernet port, and easily turn your wired internet connection into a 4×4 MU-MIMO dual band wireless access point. 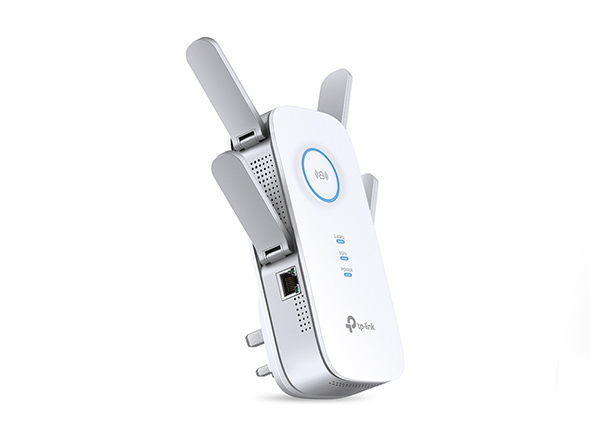 If one of the main router's dual bands drops suddenly, or in case the main router can only deliver single band, the RE650 still provides stable dual-band connections for clients, allowing you to enjoy stable and drop-free experience on all your devices. 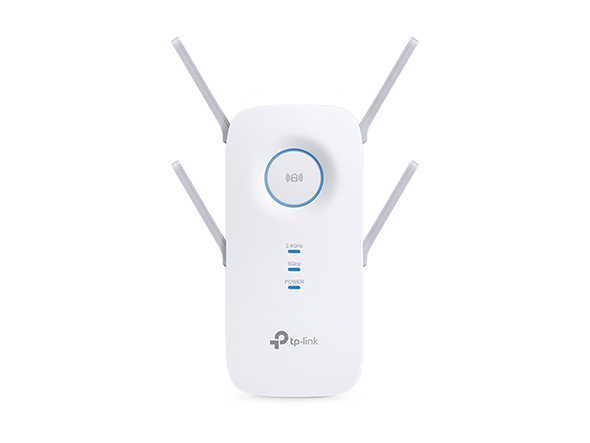 TP-Link Tether is an intuitive app that allows users to conveniently monitor the state of your range extender, controlling its functions and altering its settings from any compatible mobile device.